Choosing where their child will go to school is arguably one of the most important decisions parents make. This decision is bound not only with considerations for their children’s academic education, but also heavily complicated by factors such as worldview, peer influence, safety, and a myriad of other concerns that affect the child’s success in school. We have seen many parents overwhelmed by the responsibility of this choice, turning from friends to family members to colleagues to certified professionals to help them decide what school, what system, what option would be best for their child. Those of us who are passionate about Adventist education believe that Adventist schools make this decision easy, don’t we? We believe that Adventist education provides a quality academic foundation through a curriculum informed by biblical principles and infused with Christ’s profound love and grace. We believe that our schools offer environments in which children can thrive wholistically, growing physically, mentally, and spiritually—a clear “win” for parents. And yet, the enrollment decline in Adventist K-12 schools across North America suggests that many families are not making that choice anymore—that the decision is not so simple and that in the end, many are opting for a different educational system for their children. North American Division (NAD) leaders have been concerned about this issue for some time as they have witnessed schools closing and enrollment numbers dwindling; and so, in May 2014, the NAD Administrative Summit appointed a NAD Education Task Force (NADET), chaired by Elissa Kido from La Sierra University with Larry Blackmer, NAD vice president for education, as secretary, to critically assess the current state of Seventh-day Adventist education in the division and, based on that analysis, make recommendations to strengthen the educational system. In early 2015, two Andrews University professors, Anneris Coria-Navia and Jerome Thayer, began a Strengthening Adventist Education (SAE) research project with NAD support to study the same issues concurrently. They collected data from 27 interviews (about half with educators and half with non-educators), 16 focus groups (with 184 K-12 educators and 108 conference and union officers), and online surveys (95 K-12 educators and 52 officers). The NADET, with its team of 19 educators, lay persons, and administrative officers, worked for two years, discussing the myriad of factors affecting Adventist education, drawing perspectives from a think tank comprised of more than 40 individuals both within and outside of education, and working in subcommittees to further focus on specific issues. Both groups functioned independently and came up with many recommendations for strengthening Adventist education, which, upon closer analysis, revealed many similar findings. The NADET presented their report at the NAD Year-end Meeting in October 2016. All recommendations in the report were discussed and approved by a strong majority of the attendees. As stakeholders in Adventist education, we believe that this journal’s readership should not only be informed about these recommendations, but also equally inspired and concerned by the findings of the two studies. 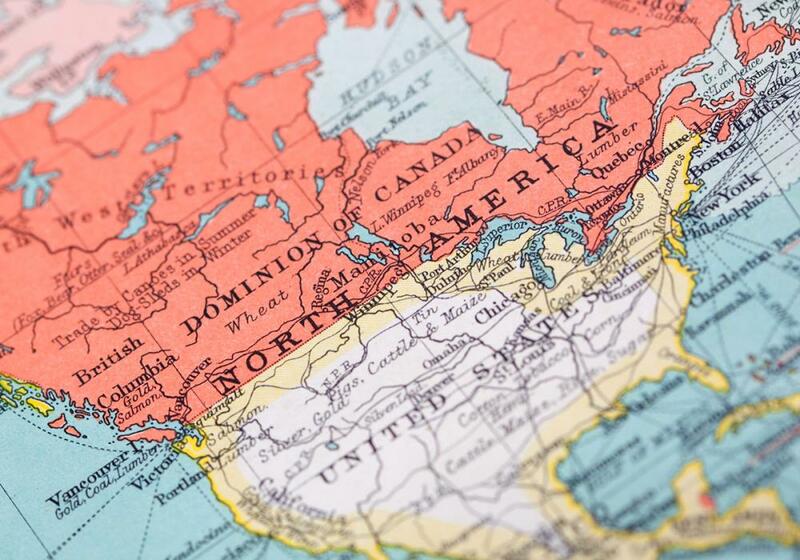 The recommendations shed great insight on the current state of Adventist schools in the North American Division and make clear suggestions regarding the direction the NAD needs to take in order to build a stronger educational system. The recommendations in the next eight sections are based on the consensus of the members of the NADET and the conference and union educators and officers in the SAE focus groups. The full 63-page NADET report1 and the full 77-page SAE report2 can be obtained online. The Seventh-day Adventist Church was founded on firm biblical principles, such as an unwavering belief in the Second Coming and the all-encompassing saving grace of Jesus. These tenets directed the formation of the Adventist educational system, as early church members built schools that would academically educate and spiritually nurture their children. The desire for quality education met with the conviction to share Adventist beliefs and in that intersection, Adventist education was born. We recommend increased attention to increasing denominational loyalty and stewardship, specifically as it relates to the importance and mission of Adventist education. At every level (local church to General Conference), there needs to be a renewed focus on the value of belonging to and supporting the Seventh-day Adventist Church. Without denominational loyalty, parents are less likely to support Adventist education. Since many members and pastors have not attended Seventh-day Adventist schools, there needs to be increased focus on the importance of Adventist education to the mission of the church. Many members who become Adventists as adults are unlikely to embrace the value of Adventist education unless effort is made to facilitate their understanding in this area. This is particularly important for pastors who joined the church as adults and did not attend Adventist schools. The NAD Adventist educational system is uniquely positioned to both academically educate and spiritually nurture the children of our church. The complexity of this task rests on the shoulders of our educators, who must be provided with adequate training and resources to effectively fulfill this responsibility. When selecting teachers and principals, their commitment to the church and to Adventist education and their ability to articulate the unique mission of both need to be considered. A healthy church-school relationship can exist only if the teachers and principal of the Adventist school realize the value and importance of their involvement in the local Adventist church, and likewise the pastor realizes the value and importance of involvement in the local Adventist school. The teachers, principal, and pastor need to value one another’s work and collaborate in their ministry to the children of the church. We recommend that those who engage in the church’s evangelistic ministries and educational ministries collaborate effectively for the spiritual nurture of children and their families connected to the church and/or school. This will require more communication between educators, pastors, and officers, and greater intentionality at the conference, union, and division levels, as well as at the local level. Both parties should collaborate in developing a plan that articulates how teachers should work with pastors in the church and how pastors should work with the teachers in the school. Barriers that make it difficult for pastors and educators to cooperate, such as not involving evangelistic and educational ministries in each others’ strategic planning, need to be eliminated. The matter of cost and affordability of sending a child to an Adventist school is a recurring theme in the literature. Mainda5 found that parents, regardless of school choice for or against Adventist education, have indicated that the cost of tuition is unaffordable, requiring financial sacrifice and/or financial aid. In the absence of either or both of these, parents are more inclined to select public education. In a study by Marshall,6 high tuition cost was the most common reason given by parents for not enrolling their children in Adventist schools. The pricing model for Adventist education must be brought into focus and properly examined, given current conditions. Mainda7 highlights the need for a pricing restructure in light of the effect on enrollment of an increasing number of parents who find that Adventist education is unaffordable. Financing Adventist education should be the responsibility of the whole church, as it is an important part of our denominational mission and a practical expression of both stewardship and evangelism. To deal with increasingly higher tuition, lower average income levels, and societal changes, a new model for financing Adventist education is needed. We believe that the problem of low enrollment can only be addressed if there is less reliance on tuition and more emphasis on other sources of revenue. In particular, we recommend that more of the financial burden should be shifted from parents of children in Adventist schools who are members of a constituent church to all members in all churches. For greater transparency and increased accountability, we recommend that all schools be required to adopt and implement a financial dashboard, use a standard accounting/financial reporting system, require yearly assessment of school sustainability and viability, and include financial accountability in the accreditation evaluation process. We also recommend the development of a comprehensive plan for strategic placement of boarding academies to address whether certain schools should be consolidated or closed. Adventist schools should be held to high academic standards. In order to achieve academic excellence, there must be quality educational offerings, excellent teachers, adequate facilities, and a process of accountability for what the school delivers and what its students achieve. The primary way that high standards can be maintained is through a rigorous accreditation process. Restructure the evaluation process for elementary schools to align with the current secondary/junior academy model. Good leadership is an essential component of a quality school. The development of Adventist school leadership must be a top priority for the Adventist Church. This development process must include attracting good leaders, training them before they assume a leadership position, continual professional development, and supporting and affirming them. Develop a recruitment plan to attract educational leaders. Provide an improved compensation package. Develop a well-defined, high-quality, educational leadership institute―an intensive program that includes practical training, a competency-based path to administrative certification, and a formal mentorship/coaching program. A prevalent challenge to Adventist education worldwide is attracting, retaining, and professionally developing teachers and academic leaders.13 While part of this challenge is financial in nature, it is not an impossible barrier to overcome. The approach taken by the Inter-American Division to devise financial initiatives geared toward teacher training, increasing teacher salaries, implementing a bonus for top elementary teachers, alongside other non-personnel initiatives is evidence of this.14 An investment in securing and further developing quality educators has the potential to yield significant dividends. In addition, recruitment, training, and mentorship deserve considerable attention in order to improve the quality of teachers who are hired and retained. There should be no price too high or obstacle too difficult to ensure that enrolling their child in Adventist education is an easy decision for every parent. Develop a plan to identify, recruit, and groom quality persons (teachers and principals) who can be placed in a prospective candidate pool from which to draw when vacancies arise. This would include attracting quality undergraduates to the teaching profession, perhaps by providing tuition loan repayment when they are officially employed by a conference. Include in the teacher-training curriculum the unique mission and value of Adventist education, skills needed to teach in small schools, and more emphasis on practical skills. Devote more attention to teacher quality in employment decisions, both for initial hiring and for continuing employment. Enhance financial and curriculum resources (especially online) to facilitate professional growth. Continual professional growth should be expected for all teachers. Address teacher burnout, especially for teachers in small schools and for boarding academy and teaching principals. The potential and attractiveness of distance-learning opportunities suggest a need for additional development and coordination in this area. We recommend increased funding for and development of distance-learning resources through the NAD’s Adventist Learning Community (ALC). Additional materials and courses can be developed for students―whether or not they are enrolled in Adventist schools―and to promote the professional growth of teachers, pastors, and school board members. Currently, there are several division-wide approved distance-education providers, such as Atlanta Adventist Academy and Griggs International Academy, which offer a wide range of services to both schools and families. It is important to coordinate the development of these programs in order to maintain and uphold the mission of Adventist education. Cooperation between schools, especially small schools, using videoconferencing should be encouraged. More attention and support need to be allocated to marketing and public relations for Adventist education. There needs to be a shift to include both “quality” and “purpose” in the content of marketing materials. While the quality of education is a significant factor in a family’s choice of a school for their child, belief in the purpose and mission of the school is equally important. We recommend that each school develop a comprehensive marketing and public-relations plan. This plan must include cooperation between teachers, the principal, and the pastor as they work in an intentional way to both convey important, accurate, and timely information to parents and constituents, and receive helpful feedback from them. Since most educators and pastors are not trained in marketing and public relations, the conference, union, or division should provide extensive support resources in these areas. Market research is needed to determine the level of satisfaction and accuracy of perceptions of parents and constituents. Each school should have access to an accurate database that includes information about all students living in Adventist homes in the community. Each school should compile relevant data that can be used to communicate the quality of the school to parents and constituents. Teachers and pastors must be able to clearly communicate the value and uniqueness of Adventist education. Schools need to have a strategy for creating positive first impressions and a plan for maintaining a visible and positive community presence. Clearly, there are a number of issues that need to be addressed by educators, pastors, and conference and union officers in order to strengthen NAD Adventist K-12 education. The list is daunting and the task monumental, but we find the alternative―the continued decline of enrollment―unacceptable. The strong approval of the NADET recommendations at the Year-End Meetings as well as the administrative support given to the SAE study provided an excellent first step in effecting change in the educational system, but it will take a commitment and investment from all stakeholders in Adventist education to ensure continued progress. These recommendations call for teachers and pastors to invest extra effort to collaborate as a ministry team, and for leadership at the division, union, and conference levels to make necessary changes in the system to more fully support Adventist schools. A number of areas are begging for attention―distance learning, marketing, finances, and leadership development—each of which must be addressed in order for our educational system to thrive. We strongly believe that Adventist schools have a unique role to play in the Seventh-day Adventist Church and its future. They have the opportunity to provide children with a quality education alongside lessons in growing a deep relationship with their Savior―and there should be no price too high or obstacle too difficult to ensure that enrolling their child in Adventist education an easy decision for every parent. A companion article with recommendations for pastors and church administrators will be published in the June 2017 issue of Ministry magazine. Jerome Thayer, PhD, is Professor Emeritus of Research and Statistical Methodology at Andrews University, Berrien Springs, Michigan, U.S.A.
Anneris Coria-Navia, EdD, is Associate Professor of Curriculum and Instruction and the Director of the Center for Teaching and Learning at Andrews University. She earned her doctorate at the University of Southern California. 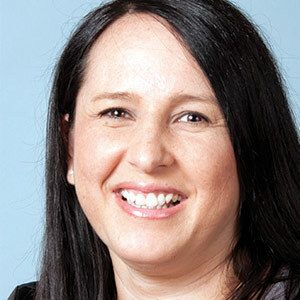 Her research interests include social networks in education, and effective practices in K-20 learning organizations and in professional development. Aimee Leukert, MA, is the Assistant Director for the Center for Research on Adventist Education, La Sierra University, Riverside, California, U.S.A.
Elissa Kido, EdD, is the Director of the Center for Research on Adventist Education K-12 (CRAE) and also serves as a Professor of Education at La Sierra University in Riverside, California, U.S.A. 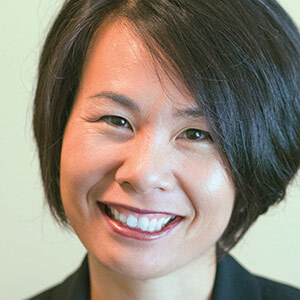 The CognitiveGenesis Project was launched during Dr. Kido’s tenure as Dean of the School of Education at La Sierra University, and she served as the Project Director. 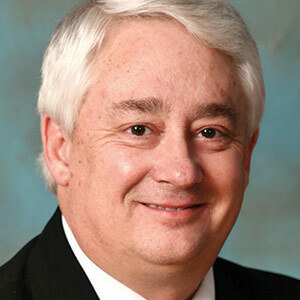 Larry Blackmer, EdD, is Vice President for Education for the North American Division of Seventh-day Adventists in Silver Spring, Maryland, U.S.A.
NAD Education Taskforce Final Report (2016): http://circle.adventist.org/browse/resource.phtml?leaf=28693. Jerome Thayer and Anneris Coria-Navia, Strengthening Adventist Education―NAD 2016 Research Report: http://circle.adventist.org/browse/resource.phtml?leaf=27873. Richard C. Osborn, “Ingredients of the Most Successful Schools in the North American Division,” The Journal of Adventist Education 68:1 (October/November 2005): 4-9: http://circle.adventist.org//files/jae/en/jae200568010406.pdf; Berit von Pohle, Constituents’ Perceptions in Northern California Conference: Determining What Aspects of Seventh-day Adventist Education Are Important (EdD dissertation, La Sierra University, 2013). 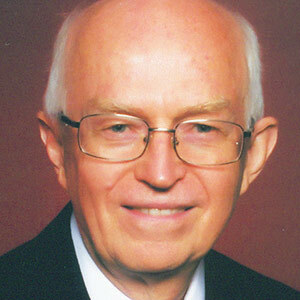 Bill Keresoma, “Pastors and Schools—A Dream Team,” The Journal of Adventist Education 71:2 (December 2008/January 2009): 27-32: http://circle.adventist.org//files/jae/en/jae200871022706.pdf. Education 11:2 (2002): 185-218: http://circle.adventist.org/browse/resource.phtml?leaf=10456. Lyndon C. Furst, “Managing the Small School: Being Your Own Administrator,” The Journal of Adventist Education 66:1 (October/November 2003): 15-19: http://circle.adventist.org//files/jae/en/jae200366011505.pdf. von Pohle, Constituents’ Perceptions in Northern California Conference. Humberto M. Rasi, “Adventist Education in the 21st Century: Eight Significant Trends,” The Journal of Adventist Education 72:5 (Summer 2010): 6-9: http://circle.adventist.org//files/jae/en/jae201072050604.pdf. Ella S. Simmons, “Getting Down to Business: Thinking Strategically About Adventist Education,” Adventist World 6:6 (May 2010): 36, 37: http://archives.adventistworld.org/2010/may/getting-down-to-business.html. Stephanie Saroki and Christopher Levenick, Saving America's Urban Catholic Schools: A Guide for Donors (Washington, D.C.: The Philanthropy Roundtable, 2009): https://www.cristoreynetwork.org/uploaded/Document_files/CathSchGuidebk_low_res.pdf. Shirley Freed, “An Update on K-12 Distributed Education in the North American Division,” The Journal of Adventist Education 70:2 (December 2007/January 2008): 33, 46, 47: http://circle.adventist.org//files/jae/en/jae200770023303.pdf. Donna Haerich, “Adventist Education in the 21st Century,” Spectrum (July 23, 2010): http://spectrummagazine.org/node/2539. Olivia Dianne Beverly, An Assessment of Factors Influencing Student Enrollment Within the Southern Union Conference of Seventh-day Adventist Secondary Schools (PhD dissertation, Wayne State University, 2010): http://digitalcommons.wayne.edu/oa_dissertations/137/. Gus Gregorutti, Factors Influencing Enrollment in Adventist K-12 Schools: A Review of the Literature (2007): http://circle.adventist.org/download/FactorsInfluencingK12Enrollment.pdf; Beverly, ibid. Loren Seibold, “Why Adventist K-12 Education Struggles,” Spectrum (January 8, 2009): http://spectrummagazine.org/node/1326; Gene Edelbach, “Helping the Impossible Become Possible: Removing the Financial Barriers to Enrollment,” The Journal of Adventist Education 64:1 (October/November 2001): 14-17: http://circle.adventist.org//files/jae/en/jae200164011404.pdf. Newberry, Nine Factors That Affect School Enrollment Growth.